President Trump described Attorney General Jeff Sessions as a “traitor” and “mentally retarded” to aides, according to an explosive new book by veteran journalist Bob Woodward. It's just one anecdote from Woodward’s 448-page book, “Fear: Trump in the White House,” based on hundreds of hours of interviews with current and past administration officials as well as documents, according to a copy of the book obtained by ABC News. The Washington Post was first to report details of the book in excerpts published Tuesday. While Woodward says the book comes from firsthand reporting, in a process he calls "deep background" he does not directly identify many sources for the quotes he includes. The book is set for release on Sept. 11. The account of the book by the Post depicts the president as angry, frustrated and paranoid about special counsel Robert Mueller's investigation. The president reportedly lashed out at Sessions to former staff secretary Rob Porter for Sessions recusing himself from the Russia probe. The book says the president’s former attorney, John Dowd, was concerned that the president would commit perjury if he sat for an interview with Mueller, according to the Post. Woodward reports that Dowd told Mueller he was not going to let the president “sit there and look like an idiot.” He was especially concerned about a transcript of the interview getting leaked and revealed to leaders overseas, Woodward wrote. 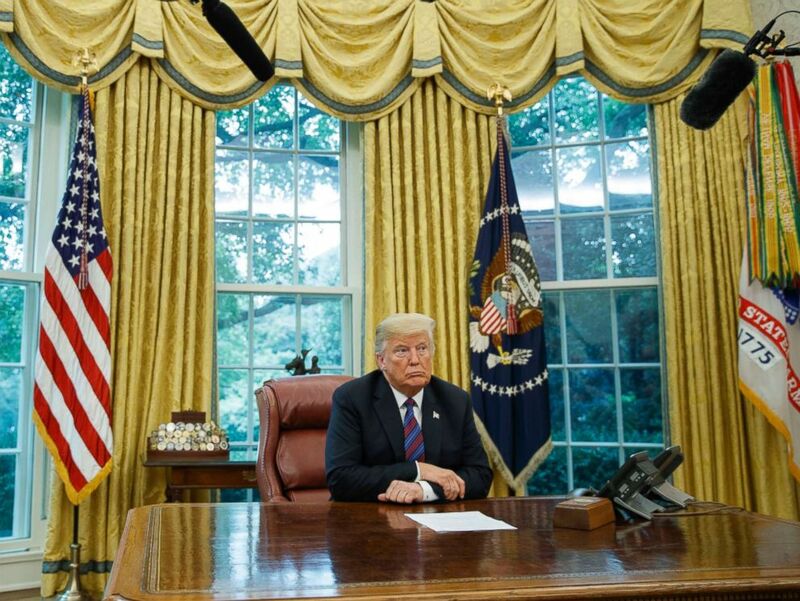 President Donald Trump listens during a phone call with Mexican President Enrique Pena Nieto about a trade agreement between the US and Mexico, in the Oval Office of the White House, Aug. 27, 2018. Still, the president is quoted as telling Dowd he would be “a real good witness” despite later losing his cool during a practice session, according to the Post account, and saying, “This thing’s a goddamn hoax,” and “I don’t really want to testify,” according to the published excerpts. Dowd issued a statement denying excerpts of Woodward's book in which he is included, saying he was inaccurately characterized and that he never called the president a liar. “I have not read Bob Woodward’s book, which appears to be the most recent in an endless cycle of accusations and misrepresentations based on anonymous statements from unknown malcontents," Dowd said. "I do not intend to address every inaccurate statement attributed to me – but I do want to make this clear: there was no so-called ‘practice session’ or ‘re-enactment’ of a mock interview at the Special Counsel’s office," he said. "Further, I did not refer to the President as a “liar” and did not say that he was likely to end up in an ‘orange jumpsuit." It was a great honor and distinct privilege to serve President Trump." CNN, which said it also obtained an advance copy of the book, reports that Trump’s attorneys believe him incapable of telling the truth. "He just made something up. That's his nature," Dowd said to Mueller, according to CNN’s account. The book paints a picture of the president constantly at odds with his own advisers, including Secretary of Defense James Mattis and White House chief of staff John Kelly. In a statement, the White House pushed back. "This book is nothing more than fabricated stories, many by former disgruntled employees, told to make the President look bad," White House press secretary Sarah Sanders said. In her statement, she went on to list administration accomplishments and predicted a Trump win in 2020. 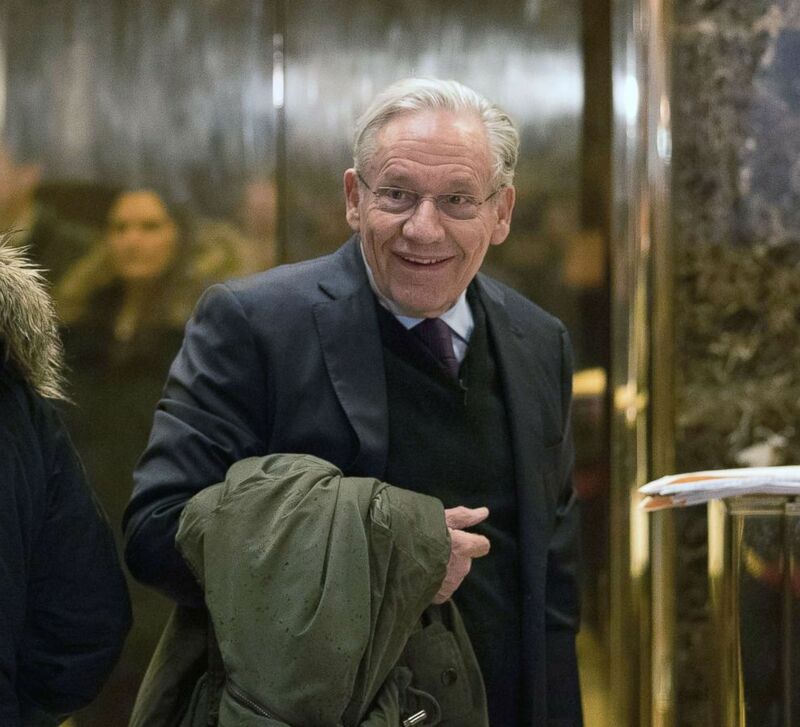 In this file photo, journalist Bob Woodward arrives at Trump Tower, Jan. 3, 2017, in New York City. The White House was hard at work reaching out to many former aides who were mentioned in the book, encouraging them to issue statements to the media pushing back on the claims made by Woodward, multiple current and former White House aides told ABC News. Some of the aides out right declined those requests, sources said. President Trump told Woodward in a phone call that he would have spoken to Woodward for the book, but he was not told about an interview request. In a transcript of the call between Trump and Woodward released by the Washington Post, Woodward told the president that he spoke to “six or seven” people about getting an interview and put in a request with presidential adviser Kellyanne Conway and asked Trump ally, Republican Sen. Lindsay Graham of South Carolina, to put in a good word for him as well. Trump later acknowledges in the call that Graham briefly mentioned it to him. Woodward also says he sat down with Conway to discuss a Trump interview, according to the phone call transcript. “It’s really too bad, because nobody told me about it, and I would’ve loved to have spoken to you. You know I’m very open to you. I think you’ve always been fair. We’ll see what happens,” Trump said. In the book, Woodward writes about Mattis and Kelly’s frustrations about working with the president, at times defying his demands. 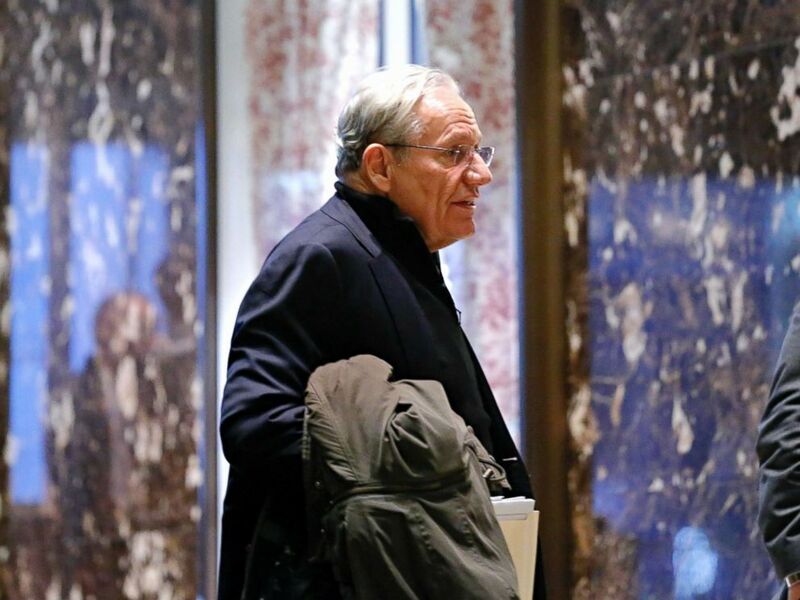 Bob Woodward arrives for meetings with President Donald Trump at Trump Tower in New York, Jan. 3, 2017. The Post writes that the president dismissed the importance of a military presence in the Korean Peninsula following a National Security Council meeting in January. Mattis became frustrated by the president’s response, according to Woodward. “Mattis was particularly exasperated and alarmed, telling close associates that the president acted like — and had the understanding of — ‘a fifth- or sixth-grader,’” Woodward writes. Kelly also questioned the president’s ability intelligence, according to Woodward. But in a statement released by the White House, Kelly denied calling Trump an "idiot." "The idea I ever called the President an idiot is not true," Kelly said. He added, “I spend more time with the President than anyone else, and we have an incredibly candid and strong relationship. He always knows where I stand, and he and I both know this story is total BS." Woodward reports that aides tried to hide documents or information from the president that they felt could endanger national security. “A third of my job was trying to react to some of the really dangerous ideas that he had and try to give him reasons to believe that maybe they weren't such good ideas," said Porter, according to CNN. Late Tuesday, Mattis, who was en route to India, also issued a statement. "In serving in this administration, the idea that I would show contempt for the elected Commander-in-Chief, President Trump, or tolerate disrespect to the office of the President from within our Department of Defense, is a product of someone's rich imagination," the statement said.